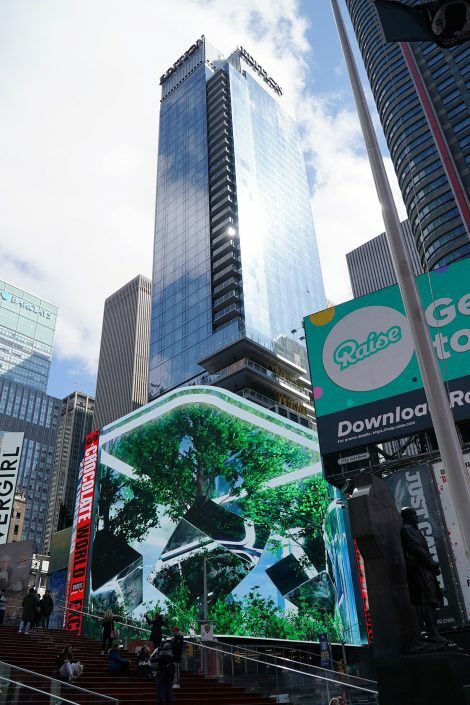 Here in New York, Marriott’s new Times Square EDITION hotel is celebrating its official grand opening this week, and the 18,000-square-foot Sansi North America digital display at the building’s base is playing a significant role in the festivities. As part of the grand opening celebration, the display is featuring more than 60 different pieces of custom-created digital art that is interspersed with advertising and sponsorship content throughout the week. 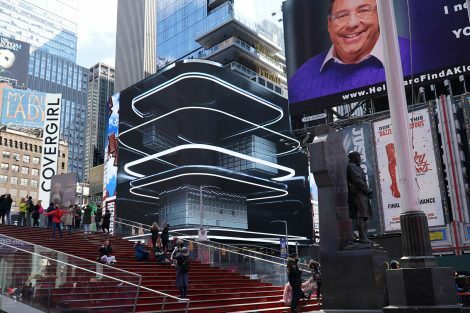 These art ‘spectaculars’ include a mix of 2D and 3D animated pieces designed to take advantage of the display’s dramatic scale, stunning resolution, and high-profile location at one of Times Square’s most highly trafficked intersections. In the evenings, the display is broadcasting a 4K live feed from the hotel’s Paradise Club cabaret. These live broadcasts feature musical performances by internationally acclaimed artists selected by the production team behind Brooklyn’s legendary House of Yes nightclub and performance venue. 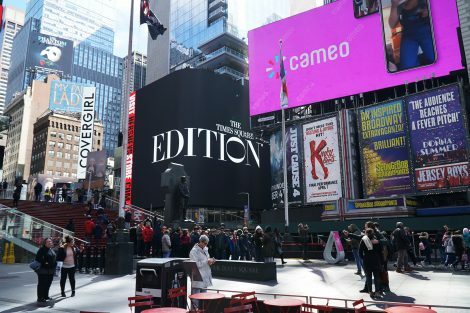 While the 24-million-pixel display has been operational for several months, this week’s launch activities represent the first time that all of its technological capabilities and enormous size are being harnessed simultaneously to create a fully immersive brand experience. Consultant Sensory Interactive  worked with owners the Witkoff Group and Maefield Joint Venture to provide assessment, design assistance, procurement, and project management services for last year’s launch of the display, which was manufactured and installed by Sansi North America. For this week’s grand opening activities, the Sensory Interactive team created a selection of original event-related content and is providing technical and operations support for other content that will be featured on the display. Sensory Interactive evaluates, plans, launches, and operates digital experiences that generate revenue and connect brands to audiences. The company works with world-class institutions and organizations to produce promotional platforms, digital out-of-home platforms, dynamic environments, and creative content. From its headquarters in Washington, DC, and offices in Austin, Boston, Dallas, New York, and Atlanta, Sensory Interactive provides services covering an installation’s full life cycle, including project, revenue, and operational management.